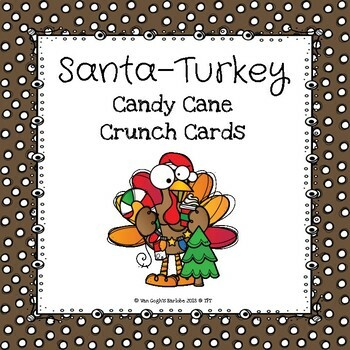 Included in this pack are the Santa-Turkey Candy Cane Crunch Cards. There are both a color version and a blackline master version. I call them crunch cards because I thought that is nicer than punch. They are excellent for positive reinforcement during small groups.